Summer may seem a long way off, but if you are planning a vacation or just want to dream of the sun and sand, then check out these great sandals from Rider Sandals! These sandals are the world’s first after-sport recovery footwear and have boat-friendly features like non-marking Flexpand soles and Instant Dry technology that don't hold moisture. My husband is LOVING his DUNAS II N sandals from Riders. 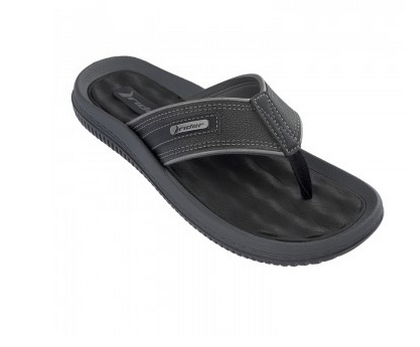 This iconic brand sandal is their biggest seller all over the world. This most comfortable flip-flop features a classic, synthetic leather upper, soft waffle-textured EVA insole and an extra-soft fabric toe, making it one of the most popular casual sandals for men, women, and children. These sandals will be worn by my husband the minute that sun and heat come back this spring and I know he won't want to take them off because they are super comfortable, classic, and great for dressing up or down. You can purchase the DUNAS II N Sandals for $35 from the Riders Sandals website.